Michael Billington (or as I imagine him – the Sage of Shaftesbury Avenue) described the Lyric’s production of Ala n Parker’s sublime 1975 musical as “having nothing new to say about the gangster-movie”. Whilst being factually correct, it also totally misses the point. 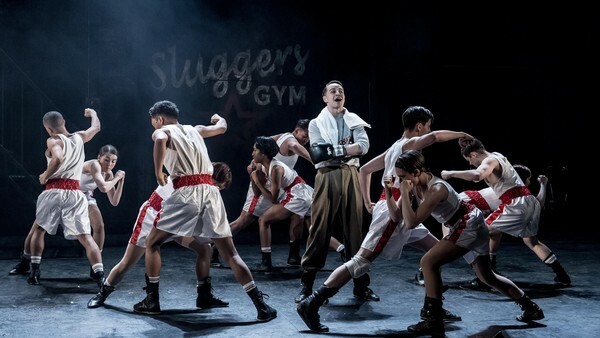 Bugsy Malone is to musicals what an 18th century folly is to architecture. It has no purpose other than to be enjoyed for what it is. Bugsy Malone is pure sugar-rush pleasure. It enthrals children by showing people their own age playing at adults, whilst grown-ups are drawn in by the infectious enthusiasm and energy of the cast. Bringing it all together is a highly effective team. Phil Bateman’s careful musical direction ensures songs stay within the cast’s natural ranges and Drew McOnie’s choreography has a highly physical comic style that adds vim to some terrific numbers, whilst Sean Holmes’ fluid but precise direction keeps everything humming along. Eleanor Worthington-Cox already has one Olivier award for Matilda; she could get another for her Blousie Brown. It was a spectacular assured performance and her rendition of I’m feeling fine was exceptional. However it is James Okulaja’s Fat Sam that steals the show. 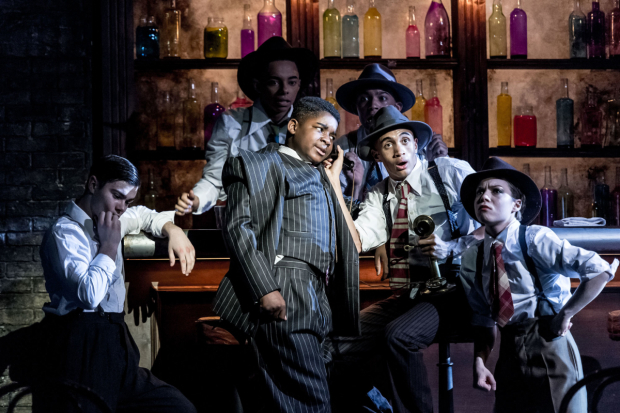 Vibrantly energetic, full of confidence but still able to deliver a sparkling comedy pratfall – Okulaja shows who the true star of Bugsy Malone is.